I recently discovered Sosie, an online boutique that sells women's clothes, accessories, and shoes. I love their dresses, especially the chevron patterned shifts they have on offer- there are several colors to choose from, and it's so hard to decide which one I like best! The dresses are all affordable, generally between $40 and $80, and they're pretty much all perfect for spring, which is ideal, because I've had many more events to attend this semester than I had anticipated- the perks of being a graduating senior, I suppose. 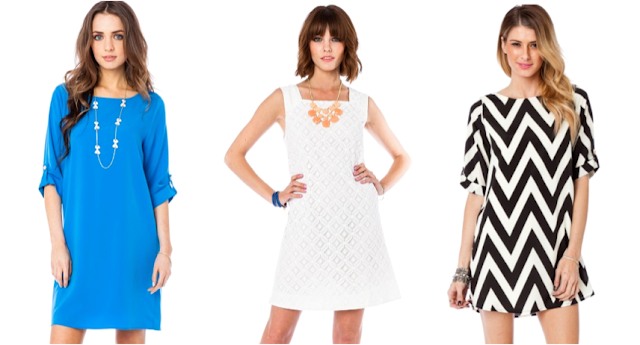 I'd love to wear any of these dresses to the dinners and happy hours we have. What do you think of Sosie?